Here’s that suede skirt again. 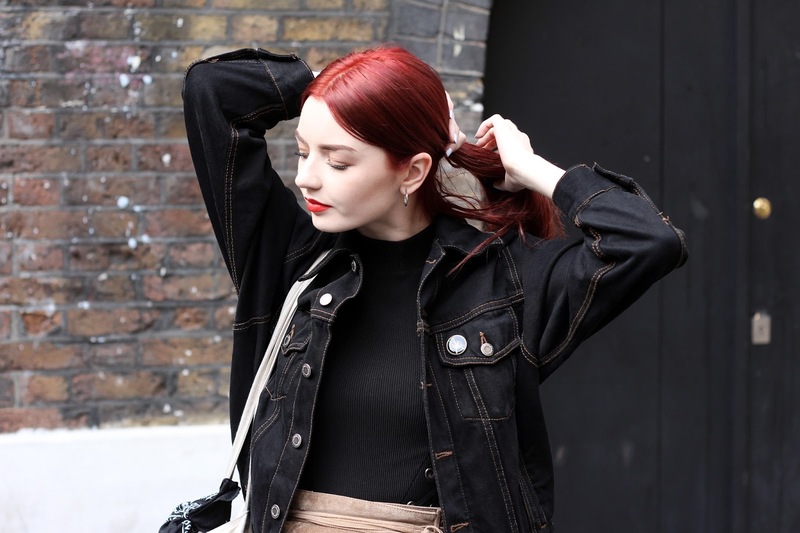 As detailed in this post, I popped down to London recently for a little H&M party and to see my blue-haired-bb Zoe (who took these snaps of me on Brick Lane). This time, I paired the suede skirt with a high neck sleeveless top from Topshop, which has these sort of subtle but (imo) really cool eyelets laced up on the side. It reminds me a little of something I would have worn to an Avril Lavigne concert as an 11 year old goth, but in a good way. Gorgeous! I love your outfit! 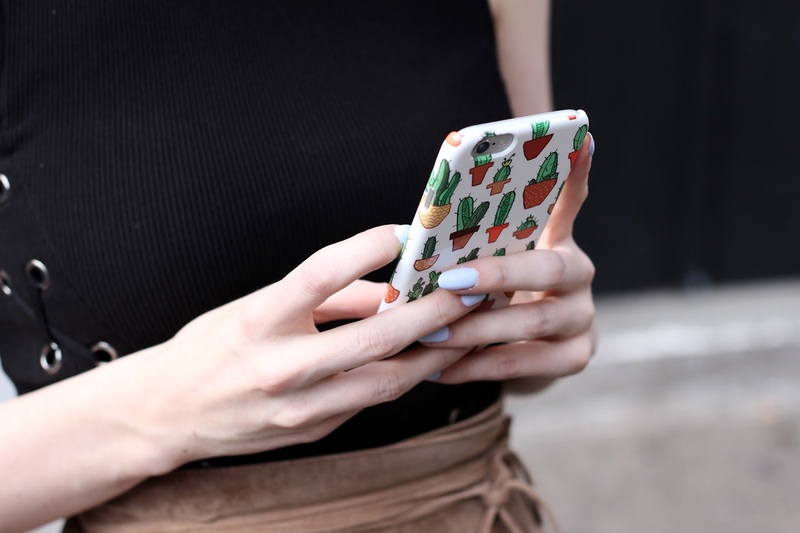 And your phone case is sooo cute, I need one of them! This whole look is so perfect. Black and tan is one of my fave colour combinations. Love this outfit, especially that jacket!! Love the top, love the skirt, LOVE the jacket – this outfit is sooooo perfect, and you rock it so well! Your phone case is so cute, love this outfit! I'm obsessed with contrasting texture so this is a dream outfit to me. The top is absolutely gorgeous! I can agree with you that it has some gothic vibes, but the skirt tones it all down and makes the outfit more sophisticated. Loveing it! Love your outfit, especially your outer. Btw nice phone case! you look great, I really like your outfit! Love the collocation – simple and lovely! absolutely lovee LOVEEE your skirt! soooo pretty! I adore this skirt, and I would never of thought about paring it with denim! Wow!! Very beautiful skirt! I love the design and the color of it! Check out the one i bought online! I really adore your outfit! Great skirt, it suits you very well!